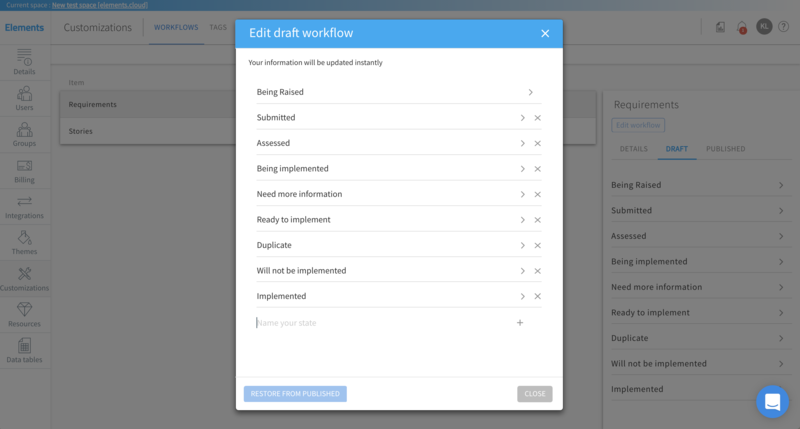 On a PRO space the Space Admin can change requirement and story workflows in space management. Select "Customizations" from the left menu. The workflows tab will be selected by default. 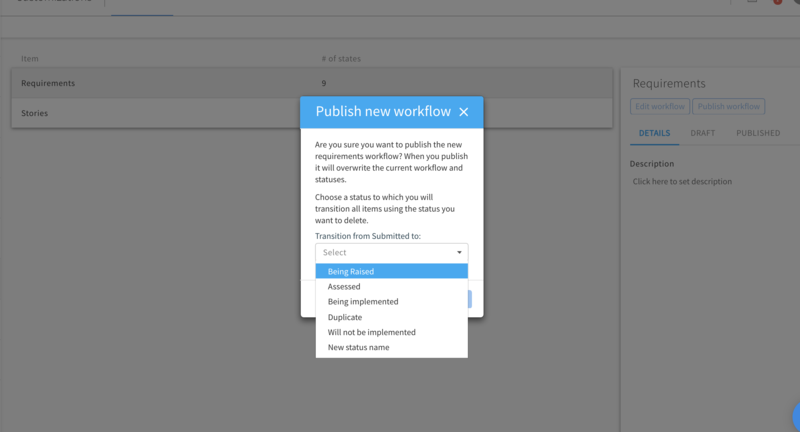 You have two versions of the workflow: the published version which is the workflow currently being used by requirements or stories, and the draft version which is the copy of the published workflow you can change and then publish. 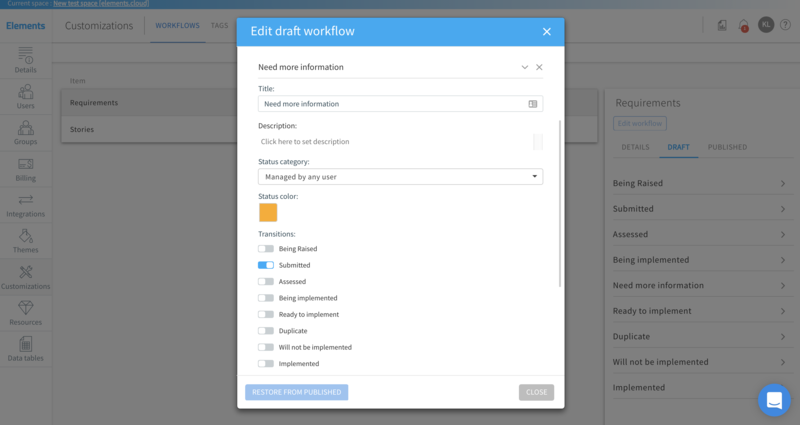 To edit the draft workflow click on the "edit workflow" button. Managed by requirement manager: editing requirement or story in this status requires the requirement manager permission. Closed: closed requirements & stories cannot be edited or changed and are moved to the "closed" list. 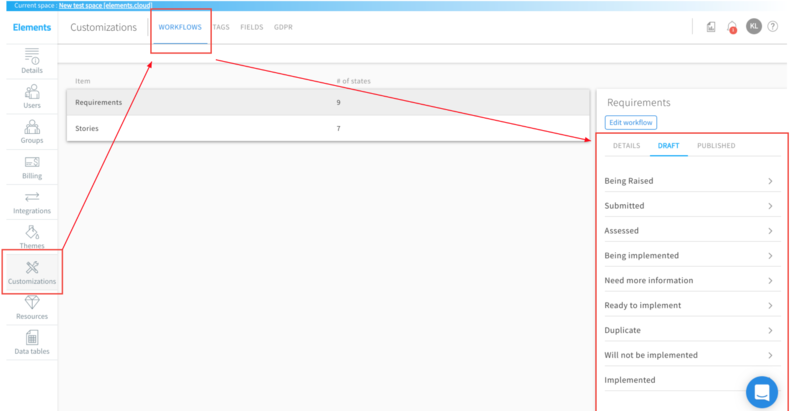 The requirement manager can re-open closed items only if there is a transition from the closed status to any of the other category statuses. You can also delete existing statuses or add a new one. To delete a status click on the "x " against a status in the list. To add a new status type in its title at the bottom of the list, press enter or click on the plus sign. 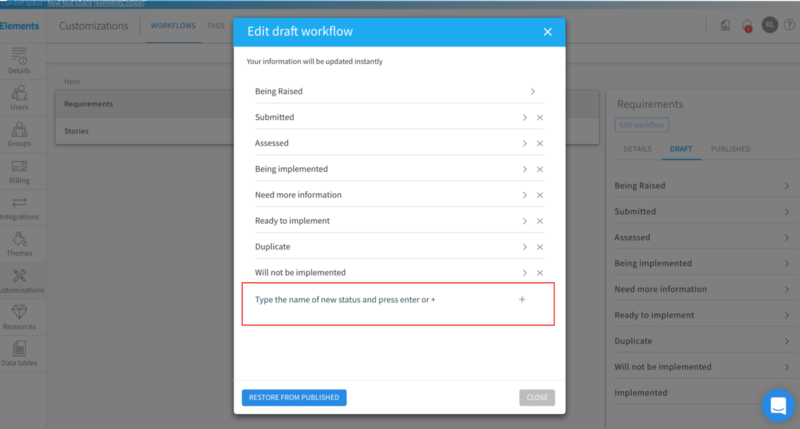 Once you have changed the draft, you can publish it. Just close the window and click on the "publish workflow" button. You will see the confirmation window. If you deleted any of the statuses used by the published version, you will need to transition requirements or stories from the status that is about to be removed to one of the remaining statuses in the draft you wish to publish.